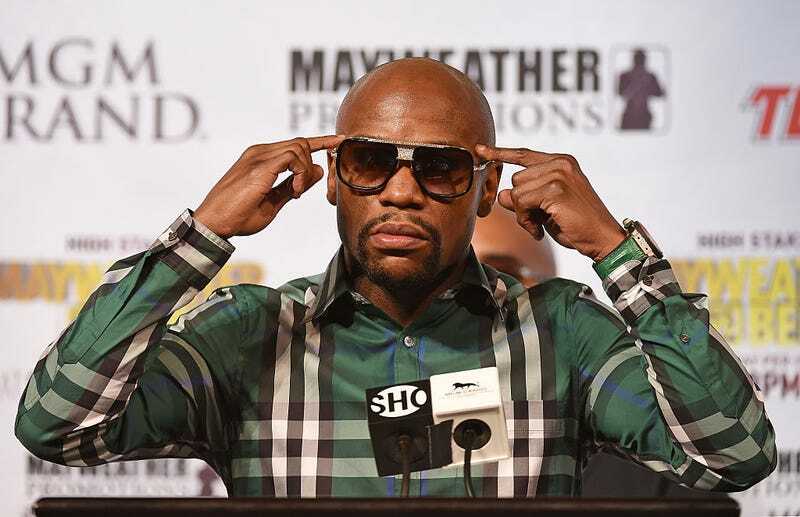 Can Floyd Mayweather Jr. Read? One of the ongoing jabs against the pound-for-pound undisputed greatest boxer (sorry, Vasyl Lomachenko) Floyd Mayweather Jr. is that while he’s a multimillionaire with several exotic women at his side, he has trouble reading big words aloud. It’s a barb that has followed Mayweather around like his overpaid entourage that carries his bags of money. During the most recent promotional tour to sell Mayweather’s grossly stupid fight with the completely overmatched Conor McGregor, the Irishman clowned the fighter, claiming that he carries a book bag around and can’t even read. Which got me to wondering: Can Floyd Mayweather Jr. read? The short answer is, yes. In fact, the above videos prove that Mayweather is reading. Is he reading proficiently? Is he reading at grade level? Now, that I’m not sure of. TMZ Sports recently posted video of Mayweather recording promotional videos for his upcoming fight, but truthfully, I don’t know if this proves that Mayweather can read, since he could have memorized the pretty simple spots. I’d like to think that reading is required to become a millionaire—and then I look at the White House and remember that anything is possible.